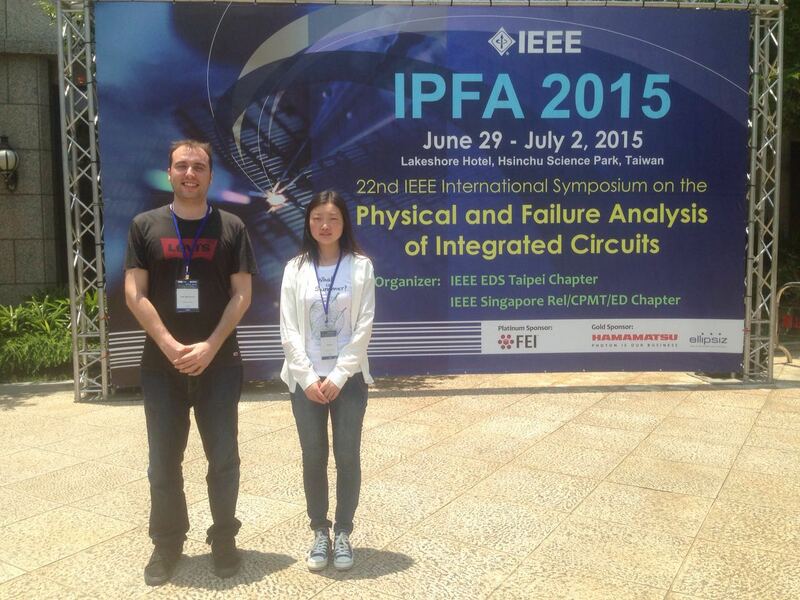 The members of our group, Yanfeng Ji and Mario Lanza participate in the 22th IEEE International Symposium on the Physical and Failure Analysis of Integrated Circuits in Taiwan, on June 28th-July 3rd of 2015. Professor Mario presented an oral speech about the link between mechanical and HfO2 thin films. The contribution for the conference will be soon published by IEEE, and it will be indexed by the ISI Web of Science. For this trip, Yanfeng Ji, received the international conference travel award from Soochow University, which is an excellent platform for promoting students progress.